September 08, 2015, 4:33 p.m. 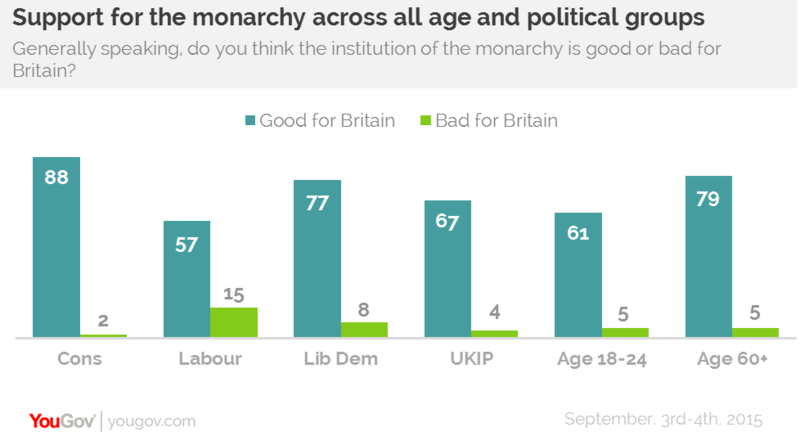 The monarchy&apos;s enduring popularity has been confirmed by new YouGov research, with a resounding 68% of the British public believing the institution to be good for the country. It comes as Queen Elizabbeth II becomes the longest serving monarch in British history - overtaking Queen Victoria’s reign of 63 years, seven months and two days. Looking to the future, the majority is even confident that the Royal Family is here to stay. 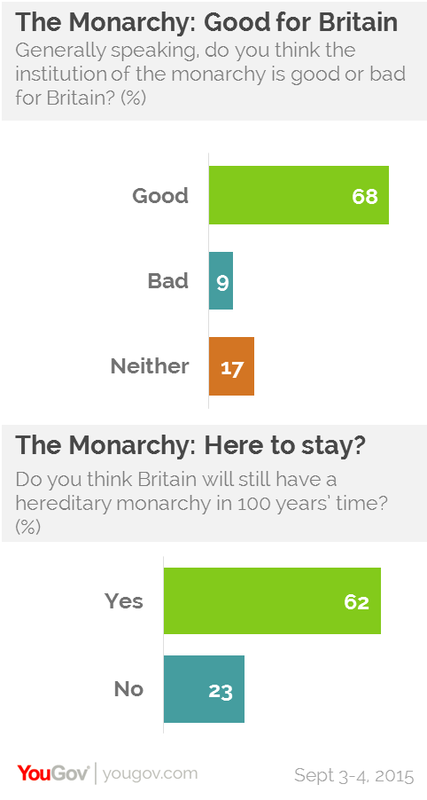 More than six in ten (62%) believe Britain will still have a monarch in 100 years&apos; time – a view that hasn’t changed dramatically since the Jubilee in 2012.